Mr. al-Mohaisany using the title, Dr.
“The helicopter was hit from the ground in an area under control of the armed units of Al-Nusra Front terrorist group and the troops of the so-called ‘moderate opposition’ who joined them.” ~ General Sergey Rudskoy, chief of the main operations department of the Russian General Staff. The lack of comments out of Russia might indicate that they have an idea who shot the plane and they know that they can rely on Turkey to play a role in securing the return of the corpses. The lack of comments from the Opposition side indicates that its leaders are nervous over the reaction of both, Russia and their supporters, given the indefensible abuse of the bodies, a violation of all laws and norms. On August 5, an unknown organization calling itself the General Foundation for Prisoners' Affairs, claimed that it had the bodies and announced that it wants to exchange them for prisoners. This group is most likely a cover, used by the main groups that actually control the area where the plane was shot down. Idlib is under the control of Jaysh al-Fath, a coalition of Salafi fighting groups, including Jabhat Fath al-Sham—formerly al-Nusra. Turkey, Qatar, and Saudi Arabia are main sponsors and supporters of Jaysh al-Fath. The U.S., given its relations with those countries, has avoided attacking Jaysh al-Fath and al-Nusra thus far. That may change in the next few weeks. 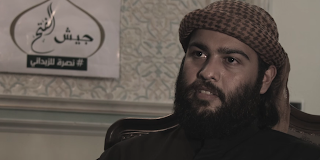 The leading figure in Jaysh al-Fath, Abdullah al-Mohaisany, is a Saudi citizen who joined the fight in Syria in 2013. 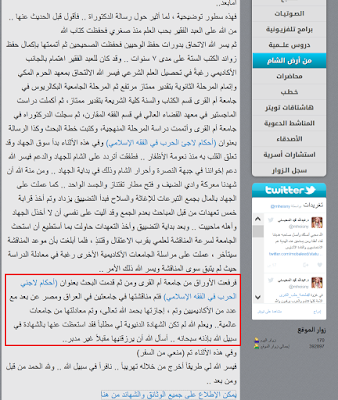 He is self-declared chief judge of the Salafist groups, insisting that he is a qualified Shaykh and an academic scholar. 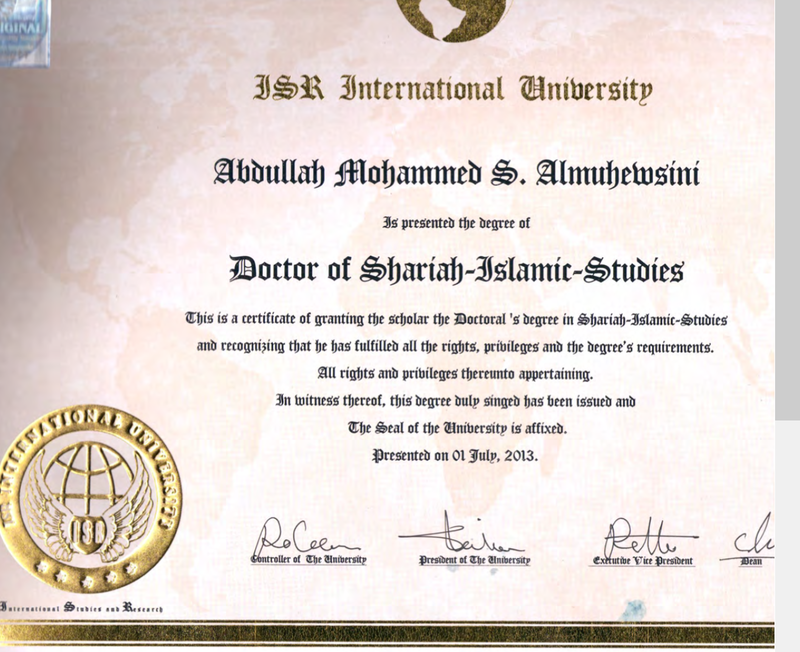 On his official Internet sites, he uses the titles, Shaykh and Dr., claiming religious training as well as advanced degrees in Islamic law (fiqh). Both claims are false. Although he enrolled in seminary classes in Saudi Arabia, earning an MA from Umm al-Qura University in Saudi Arabia, he has no formal training in law or Islamic studies. 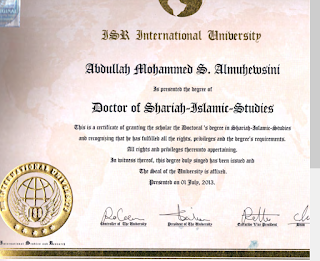 He claims that he holds a PhD in Islamic studies, but the documents he shows on his website reveal that his 2013 degree is fake. 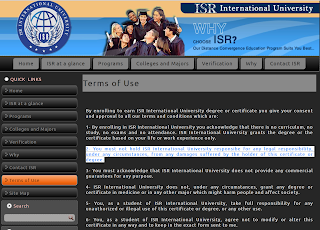 It is issued by a web site that appears to be running a scam, ISR International University, with no address, no staff, no curriculum, no instructors, and no accreditation from any organization from anywhere in the world. 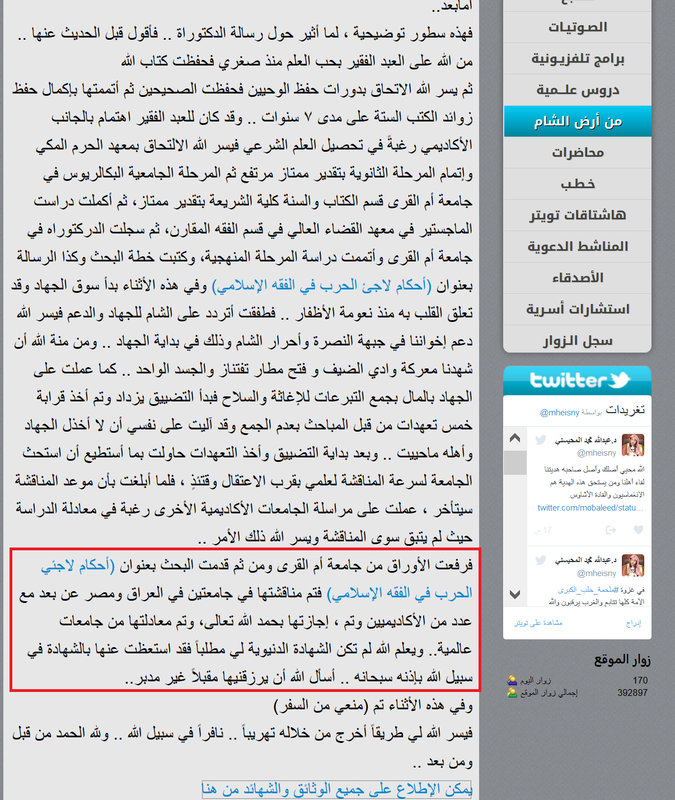 Al-Mohaisany is aware of people questioning his claim of holding a PhD, so he provided an explanation. He argued that he enrolled in a PhD program in Saudi Arabia and finished all the work on his dissertation and was ready to defend in 2013. He was told that his defense was delayed. But since he feared that he will be arrested, he left the country and presented his dissertation at Egyptian and Iraqi universities (via distance program?) 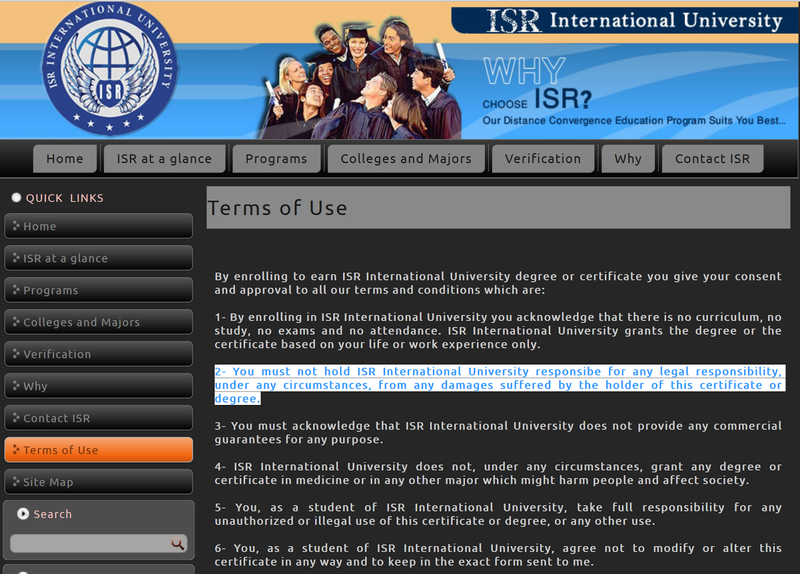 and was granted the degree by an international university. The records that he himself posted on his own website does not support those claims. A legitimate PhD degree requires 2-3 years of residency and 2-3 of research and writing. His application to the PhD program that is on record shows that he applied in 2012. There is no credible program, even one in Saudi Arabia with lower standards, that would grant a PhD to someone in just one year. He could argue that he is a genius. If he were, he would have finished his MA in a year, but he did not, it took him three years, one year longer than the average. Given his false claims about his PhD, one can only assume that all his claims about religious training and war experiences are just as false. And that is very dangerous. Self-declared shaykhs and judges like Mr. al-Mohaisany, who lie about their religious training and education, are now in control of a huge arsenal of weapons and control entire provinces in Syria. He is now leading the charge to liberate Aleppo and unify Sunni Salafi groups in one army. Their sponsors present them as “moderate” freedom fighters, when their track record indicates otherwise. The rest of the world should be nervous, too, that scam artists like Mr. al-Mohaisany are enabled to destroy countries and threaten others—all in the name of their perverted interpretation of Islam.